We are pleased announce that after being shortlisted for an award we are the North East regional winner in the LABC Building Excellence Awards for the category of Best Educational Building. The award was in recognition of the delivery of outstanding construction and workmanship on the Georges Lemaitre Building at St. Wilfrid’s RC College. 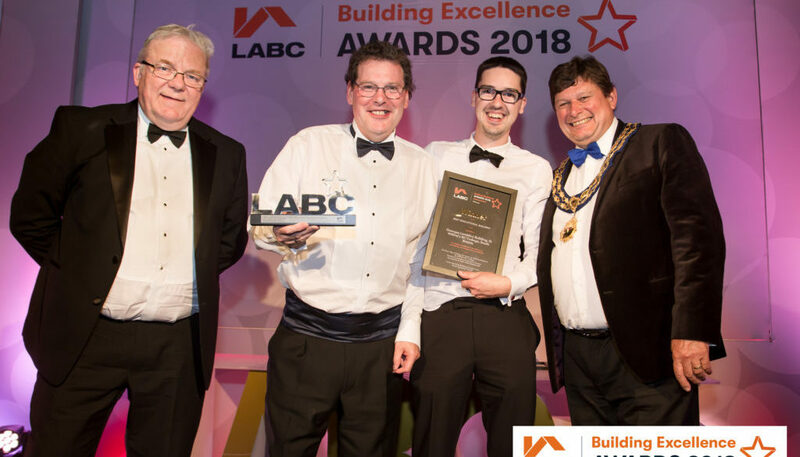 This award-winning project has gone on to be entered in the Grand Finals of the LABC Building Excellence Awards which will take place in London on 9 November 2018. These are the largest business to business awards in the building control sector, and they recognise quality in all types of building project. Northern Bear conducted design and build works at St Wilfrid’s RC College from March 2016 to June 2017. The £3.4m project included the refurbishment of an existing wing and the building of a new extension. All the work was done in a ‘live’ school environment without disrupting the curriculum.